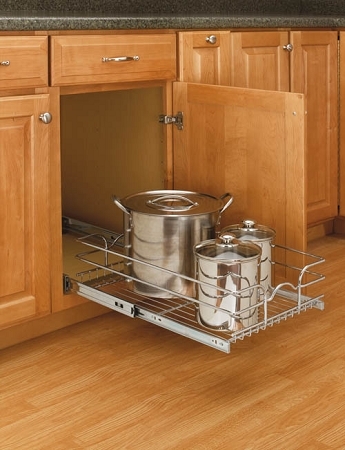 This chrome wire pull out shelf/basket is ideal for organizing your pots,pans and other bulky items. Features Full Extension ball bearing slides. Heavy Duty chrome plated frames and are easy to install.